Hanham Community Centre is located on the A431 in Hanham. The A431 is a major trunk road between Bristol and Bath, passing through Willsbridge, Bitton and Kelston. The centre has adequate parking for around 80 cars, with security lighting and CCTV. Travelling from the East of the UK, approach via the M4, leaving at J18 (Bath) travel along the A46 (Bath), right on to the A420 (Bristol) and the left on to the A4174 (Keynsham) - leaving this for the A431 at Longwell Green (Boots/Asda junction). Travelling down the M5, turn left onto the M4, turn right (J17) on to the M32, leaving at J1 to join the A7174 - follow the A4174 until the Longwell Green exit for the A431 (Asda/Boots junction). From the South:Travelling North on the M5, turn right on to the M4 and follow the directions above. Please note the A4174 can be very busy from the M32 junction for 2-3 miles - particularly during the weekday rush hours. 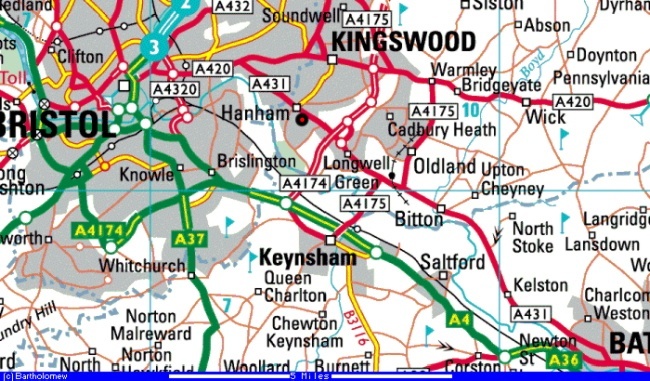 Community Centre is shown by Red in Black circle on the A431. Motorways approaches are via the A4174 ring road, or the A420 (from the east). Community Centre is shown by Red in Black circle on the A431. The centre is next to Hanham Library and Youth Club - it is signposted on the main A431. 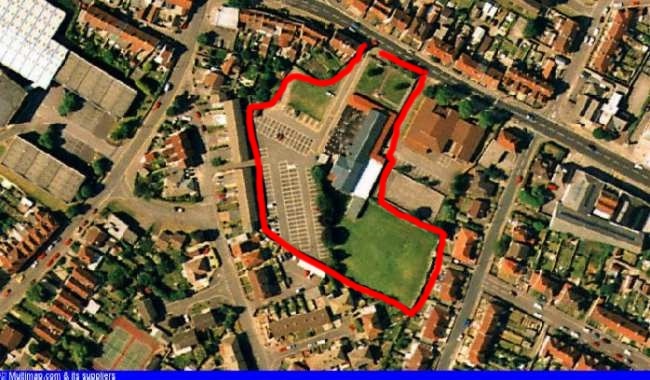 nearby landmarks are Tollgate Hire/Nat West Bank (500yds East) and Co-op (500 yds West). The main entrance to the Centre is from the A431 (shown above), and the car park is located to the side and rear. The main entrance is also located adjacent to the car park.